The partner in high tech growth. 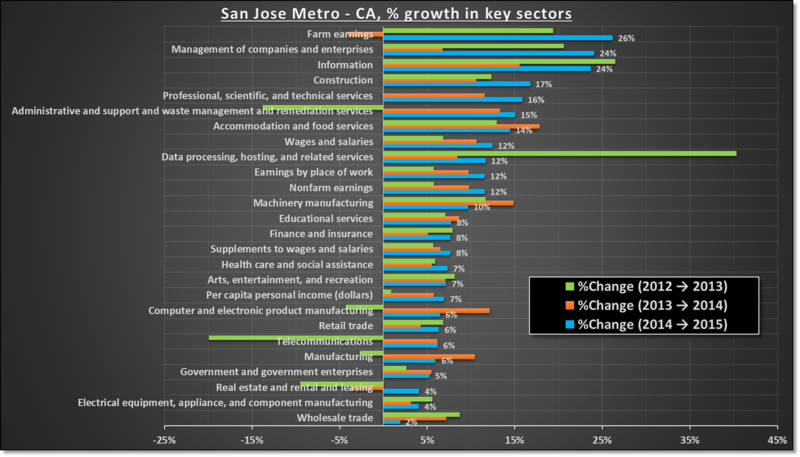 San Jose metro (Santa Clara & San Benito counties) growth rates by select industries, 2012-2015. San Jose, part of the Silicon Valley, has headquarters of some of the biggest names in tech & management. This data shows half of the fastest growing sectors out of the top twelve are related to these fields.